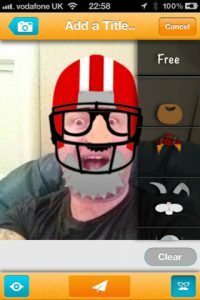 iThrowU, developed by appit Ltd., is a goofy, silly way to connect with friends and create funny pics. Is it sophomoric? A little…but that doesn’t make it any less enjoyable to play around with. 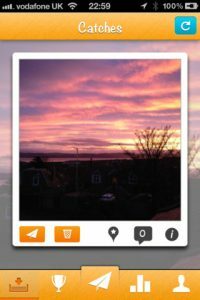 With a simple throwing gesture, you can share pics, texts, and other content you create with people in your social circle. There’s a huge array of props available to overlay on your images (with the option to buy an in-app pack that contains all the available props for just under four bucks.) There’s stuff like beards and glasses, but beyond the content, there’s something even cooler about the app. The props automatically move and change size with the motion of faces across the screen. In addition, there are six photo effect filters to mess around with. 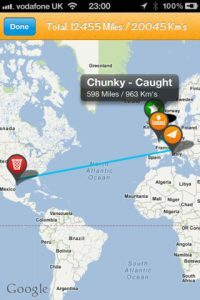 Every throw is tracked on an animated map, and thrown messages will be ‘caught’ at random by other users from all over the world. 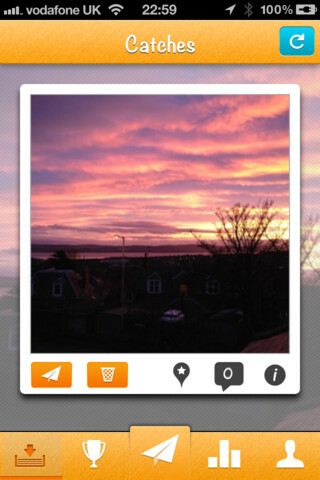 From there, your creations can be shared via Facebook, Twitter, Email and SMS text. 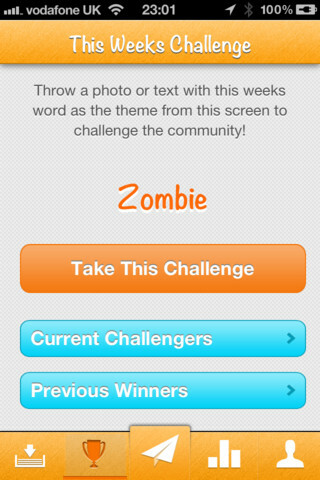 iThrowU also features a Weekly Challenge that picks a specific word or theme. It’s a cool way to meet new people, get creative, and kill time all in the same go. Overall, we say iThrowU is worth checking out, though it may not be for everybody. It’s a cool idea with an excellent user interface, and it’s worth playing around with. 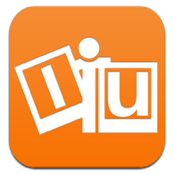 iThrowU is compatible with iPhone 3GS, iPhone 4, iPhone 4S, iPod touch (3rd generation), iPod touch (4th generation) and iPad. 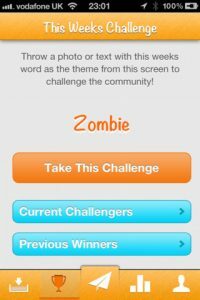 Requires iOS 5.0 or later.